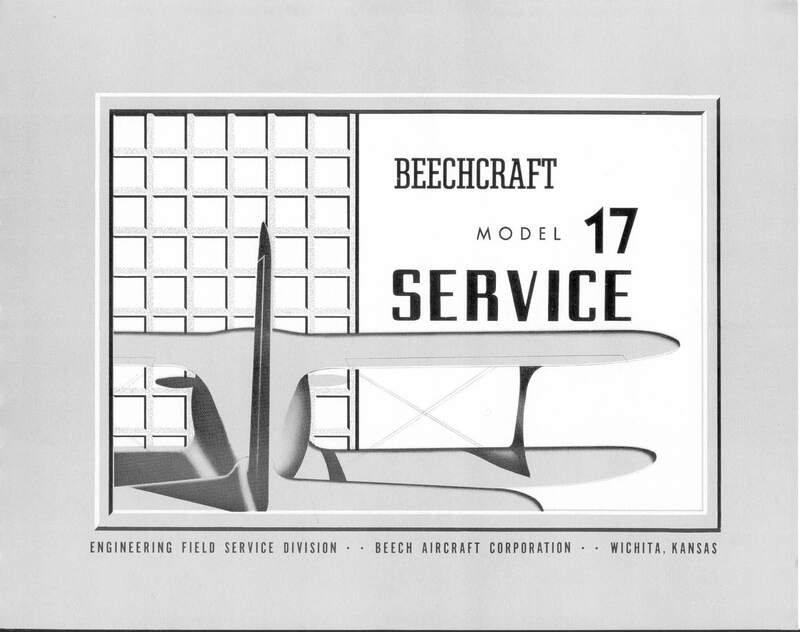 Distinguished by the negative stagger of its wings, chosen for pilot’s view, structural and aerodynamic reasons, the Beech Model 17 first flew in 1932 and became the marketable commodity that was to eventually establish Beech as a major aircraft manufacturer. 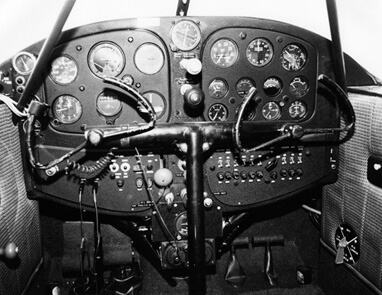 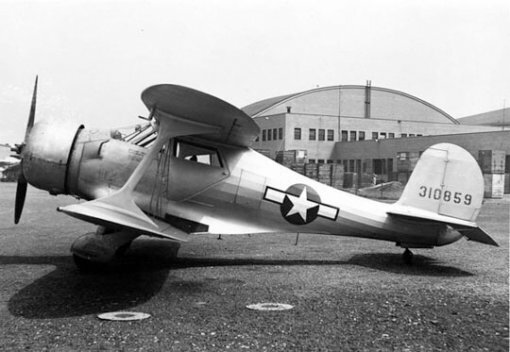 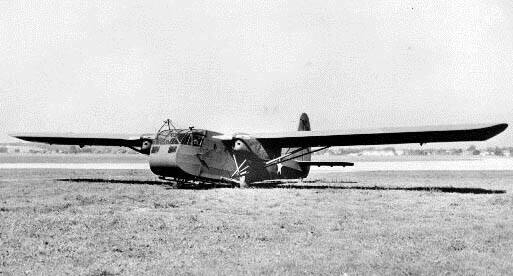 Over 400 model 17’s had been built when the US entered WW2 and production transferred to the military UC-43/GB-2 models which saw service with the USAAF, US Navy and British Royal Navy. A number of civil models were also impressed into the military. 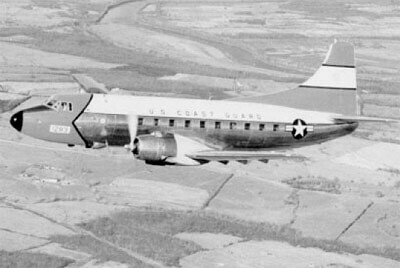 A further 90 civil examples were built when production resumed between 1945 and 1948. 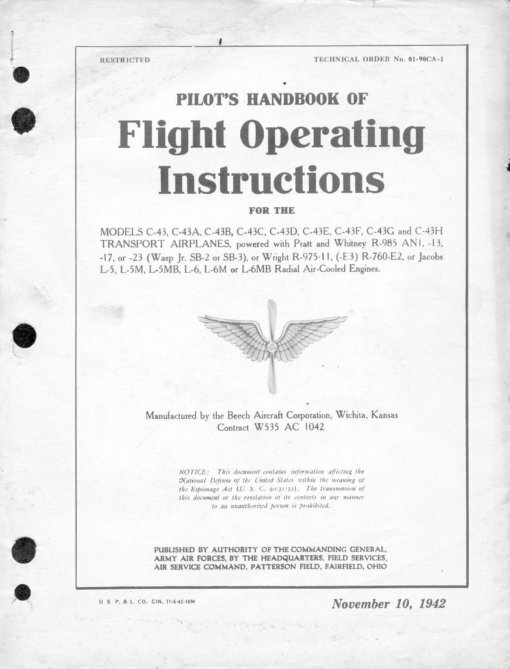 This title contains four flight manuals for the Beech 17. 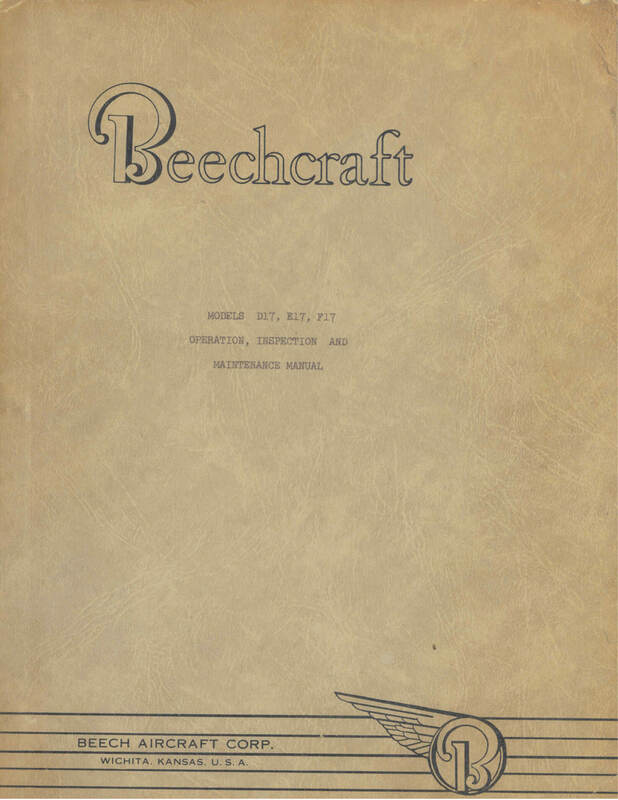 The USAAF flight manuals and one manufacturer’s manual have been copied from the original flight manuals and retain any colour pages, the other Beech factory flight manual has been copied from a later monotone Beech re-print. Pilot’s Flight Operating Instructions for the USAAF UC-43, US Navy GB-2, British model Traveller airplanes, AN 01- 90CC-1 dated 10-7-44 with approx 32 pages. Manufacturer’s Service and Operation Data manual for the Model D17, undated with approx 55 pages. 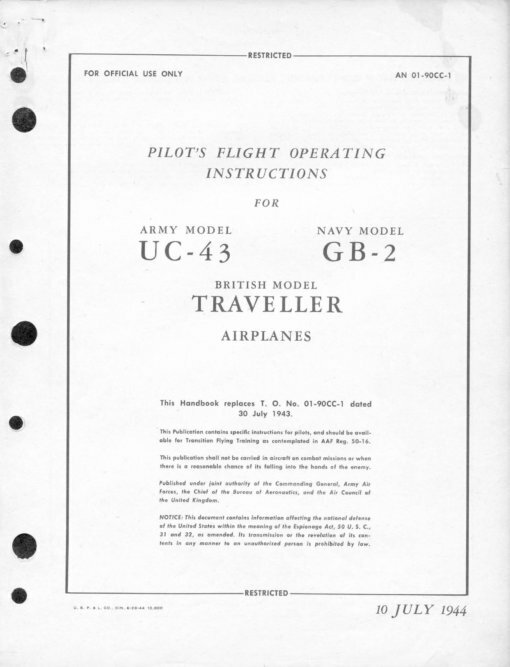 Manufacturer’s Operation, Inspection and Maintenance Manual for the models D17R, D17S, D17A, E17L, E17B, F17D dated June 1947 with with approx 44 pages.